Guild Competition Event - Rocs are the winners! The Guild of Mechanicians thanks Beastlords for help! To show their appreciation, Mechanicians used a part of the developed Selenium for producing a mixture which increases the vigour and shared it with the species that helped them to win. In total there 328 Rocs and 252 Dragons were sent to help the Guilds. Rocs have won the competiton and get +5 max energy for the next 7 days. The art contest has come to the deadline now and thanks to our players we have 13 new golems! You can find the recipes for crafting them on the islands. You can see the list of new golems and their creators here. The art contest is extended for 2 weeks for the missing golems. If you would like to participate, please post your entries in this thread. Noble Beastlords! The Miners Guild and the Mechanicians Guild invite you to participate in the competiton! Recently, the State Portal Service have found a new large island on the northwest. It seemed to be completely ordinary until two independent Guilds, the Miners and the Mechanicians, have discovered unprecedentedly rich deposits of a rare element - Selenium. Only one Guild can claim these deposits, and it will be the one which demonstrates the most effective methods of deposit development. The Heads of each organization are asking Beastlords to provide their pets for this competition. 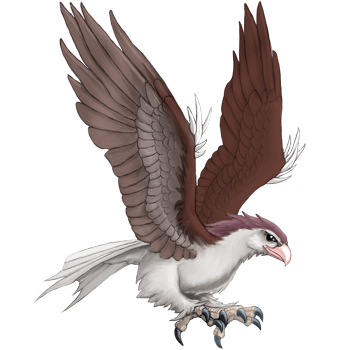 Mechanicians are working in the alliance with Rocs due to the electrokinetic abilities of these huge birds, while Miners are processing the raw material with the help of Dragon fire. If you would like to participate in this event, go to Quests tab: Mechanicians are looking for the Rocs with Electric gland while Miners need the Dragons with Fire gland. You're free to choose which faction you are going to help. There are 7 days for the competitors to prove their effectiveness. The winner will be the Guild which gets the better support of the Beastlords. 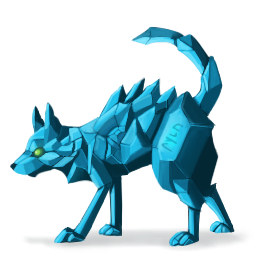 The winning pet species will get a bonus of +5 energy for one week! Quests give XP. Bronze quests give XP equal to 3 victories over the opponent of the same level, silver are equal to 6 and gold to 9 victories. Quests with color requirements are added. Also all quests now have more logic in the requirements now. For example, singing Birds and fragrant Unicorns can be in high demand for the druidic ceremonies while a stinky Cockatrice can be a desired guest for Warlocks. You can view the pedigree of auctioned pets directly from the auctions lot list. Pound gives 1000 for every pet. At the same time Pound staff started to choose new owners very carefully and asks to care for an adopted pet at least for a week after adoption. Daily limit of State Portal Service Branch is 5 pets. Vermillion from the magic seals is raised to 1-2, food piles are increased to 15-20. Additional update: Berserker gene is removed from Dragons and added to Pumas. Please read this topic for details. If you would like to swap your Berserker (ancient) gene to the actual Fearsome Look, please post the links to pets which should be updated here. Please meet our new staff member, Westly, who is going tol help us with all Customer Service related things! Concerning the redundant amount of resources gathered from Explore (you can check these form topics: 1, 2) and too fast pet levelling on island, we made some balance update. The difficulty of catching a Wild Pet is doubled, now the chance is 35% for the average pet. Quests require a minimum of 5 energy to be started. The pets still spend all of their energy on quests and return with 0 energy points. You can craft the Bandages from Cotton and Laminaria. The Bandages can be used once per island to restore 1 energy point from the battle loss. Bandages are crafted in packs of 5. The loss in the Beast Temple will force your pet to leave the island. You can find the Chancellery on islands. It will exchange any of your invites to a random one. Portals are scanning the environment and locating the other operational portals. The Portal has a memory limit of 20 points, each point is a located island. Every time when your pet passes the Portal, the number of located islands is reduced by 1. The Portal finds 1 new island every hour by default. You can build the State Portal Service Branch which will gladly take away any of your pets and employ it in the prospect of the island and portals which survived the flood. You will get 5 Energy Flow Cards with located island portals in exchange for your pet. Each Card is equal to 1 located island and can be used at any time. Enegy Flow Cards are account bound and can't be transferred to another user. We do not plan to sell Energy Flow Cards for Gold Coins until the community will be strongly asking for this. You can view your Auction Bids. You can view your Pets in Trades and Breeding Offers. You can't place a bid on your own auction. You can cancel your auction if there's no bids. Items in auction take place in your inventory. Please note that only the item type takes a slot, so if you're selling 10 packs of 5 Stone each and have additional 100 Stone in your inventory, all of them will still take 1 Inventory slot. You can see the time of the next energy point at the energy bar. You can visit your pets in Reserve. You can see a father of the future child on the profile page of a pregnant female. Pedigree is displayed up to the 3 generation of ancestors by default; the previous generations will be displayed if you click "See more" button. You will be redirected to your post instead of the thread when you add a new post on forums. With the help of the Beastlords, the ancient manuscript was restored and the Magicians managed to construct and animate several Golems. The users who helped the Council have earned the unique achievement which is viewable in their profile and below avatar in the forum posts. A Golem is an artificial being which multiplies the materials spent on its construction by 2. The Golems live 10 days providing 1/10 of their total material resource each day. To create a Golem, you need to find and learn its Scheme first. 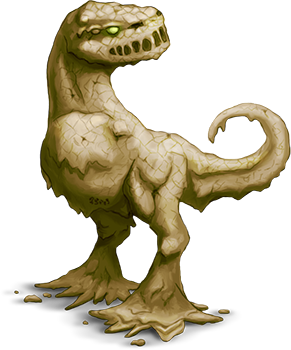 You can find the schemes for 4 Golems right now: Clay, Stone, Wood and Cotton. Take part in the art contest and create the other Golems! Your pets will spend 5 energy points for every island visit. The amount of resources, coins and probability of building generation are raised proportionally, XP amount is doubled. The portals are working more stable now. From this moment, a pet will stay on the island even after the loss in battle though every loss will cost you 1 energy point. The pets still return home from island after the loss if the battle started with 0 energy. The amount of resources on islands generated before this update won't change but the new rule with energy decreasing after batlle loss will apply there too. You can find a new building on the islands - a Fountain which replenishes 5 energy. The sea items won't be blocked by buildings and the treasure chests won't be placed on the buildings anymore. Gray Jar is removed from the Magic Shop goods. To balance the XP gain from the usual monsters, the amount of XP earned from the battles with other pets on Battle Arena is doubled. You can see Gene Power of your pet's genes directly in you pet's profile by hovering over the gene names. Degeneration inheritance mechanics has changed: if the parents aren't close relatives and have Degeneration grade, the Degeneration grade of their child will reduce by 1 instead of being removed completely. Text Quests - test mode. What is your opinion? We want to introduce you Hoot - the tool for creating the text quests developed by Dave Gauer. You can try creating your own text quests here. This tool has a simple scripting language which allows you to create interactable non-linear branching stories. You can get the very basic idea by checking sample auto-generated Hoot quest. You can save your stories and post the links here for other players to play your quests! 1. Daily Quest (minor feature). 2. World storytelling (major feature). If you like writing or fulfilling text quests and want to see these features implemented, please share your opinion here! Welcome Beastmasters, to the history of our kind… 5 billion years ago our ancestors were forced to emigrate from the planet Earth when the Sun became a red giant and the whole planet became inhospitable to life as they knew it. 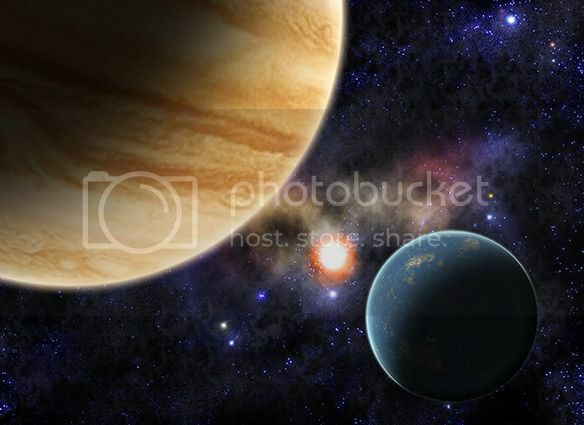 As their demise became imminent, the surviving humans moved forth and terraformed the moon of Jupiter, Europa, and migrated to their new home. The differences between their new home and Earth were apparent when creatures of huge sizes thrived where they could not have possibly lived in the environment of Earth. It became common to see enormous Dragons, Rocs and Gryphons in the wilds of their new planet. The ancestors thrived in their new civilization for thousands of years on the planet Europa, but the same catastrophe that destroyed life on Earth now endangers the planet and all of the creatures that have made their home there. The same red giant sun has melted the ice on Europa and has created planet-wide floods which covered most of planet leaving scattered islands and destroying much of civilization. Whispers from the people tell stories that the remnants of humanity are searching for a way to travel to more distant moons, but there has been nothing to confirm the rumors. Some sources speak of new biospheres which have been kept secret, other life forms, and the potential for new colonies. While living on the planet of Europa, the people thrived, creating a utopia. Their advanced scientific knowledge of space travel, no longer necessary, gave way to a whole new form of knowledge, convening in the Council of Mages and the Warlock Conclave. The Mages looked over and taught humans, but they themselves were not true humans, not as we would see them. Their own genetic makeup had evolved the genes of other species, giving them kinship with certain animals that were heart-bound and couldn't resist being attracted to the Mages that shared their genome. Many people believe that the Mages possess the secrets of life and can manipulate flesh and soul at will. These supernatural abilities leave an air of mystery surrounding the Mages, and humans look to them with awe and fear. Creatures like Gryphons were believed to be the result of the Mages artificial experimenting, but no one knew for sure whether this is truth or not. Meanwhile, the Mages have continued to research the souls of the creatures of Europa for several years, and they now believe they are close to finding a way to travel to the other moons by harnessing these powers. The Conclave of Warlocks are born normally, as humans, but choose to modify their essence and body by consuming the powers of different supernatural creatures, such as magickal animals. Even Mages and Druids, who disappeared mysteriously, have been sources of this power. These disappearances have been at the core of the hostility between the Mages and Warlocks that hunt them to consume their energies. Instead of living in a symbiotic relationship with certain creatures as the Mages do, the Warlocks' sole purpose is to enslave and consume the energies of all different creatures and sources. Meet our Staff Writer, Erislyn! Please welcome our new Staff member, Erislyn! She will help us with all the game texts and concepts from now on. It is well-known that the majestic cities of the Old Empire were build with the help of Golems - the artificial creatures created from inanimate matter. Although the secret of creating the Golems was lost at the times of the Great Flood. The Council of Mages discovered that the key to the animation of inanimate substance lies in the ancient manuscript which could escape destruction in the flood. The Council calls on all of the Beastlords to pass the found parts of the manuscript to the Municipal Scriptorium. When all of the parts will be collected, the Mages will be able to restore the principle of producing these industrious beings. Magicians promise to make a copy of the new Golem schemes as a reward for all Beastlords who will help by giving the manuscript parts to the Scriptorium. We're happy to introduce the new features! Gray Jar allows you to remove the custom skin from your pet and revert it's color to the natural one. You can buy it in the State Store or find on the islands. You can build a Reserve which will take your retired pets to leave in peace for the rest of their days. The pets sent to Reserve can't be returned back. You can view the list of pet's offsprings by clicking a link on the children count in pet's profile. On the Arena you can see the type of battle application next to the pet's name. You can use Blueprints and Schemes up to 5 times to reduce the Silver Coins cost of construction by 10% for each used scheme. The items used in events (like parts of Manuscript) has their own menu tab and don't take the place in the Warehouse.